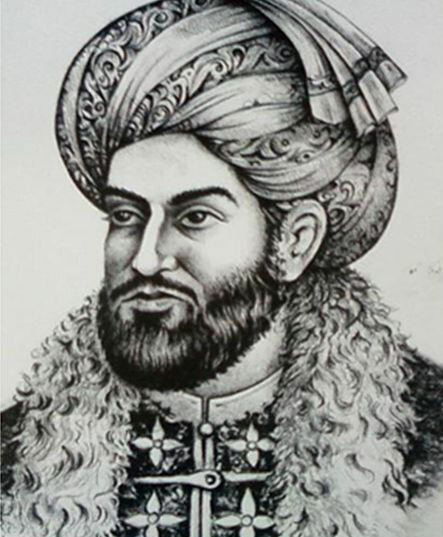 Ahmed Shah Durrani (1722 – 1772) is celebrated as the founder of the modern state of Afghanistan. The nation had been wracked by conflict among tribal leaders, but Shah brought peace. Legend has it Shah led the people to a secret valley that he had discovered on his travels, a vast plain, bordered on all sides by sheer cliff faces. To protect their new peaceful way of life it was imperative that no-one reveal the hidden passageway into the plain. One day, Ahmed Shah was approached by a very nervous lieutenant. “Emir, we caught someone revealing the location of the secret passageway.” The traitor was Ahmed Shah’s mother! Ahmed Shah was distraught. He could release Ahmed’s mother, kill the soldiers who captured her and hush the whole matter up by killing the guards who had captured her. But all chaos would break loose once word of this got out. Shah decided he would think it over during the night and announce his decision in the morning. When morning arrived everyone gathered in the square. Ahmed announced his mother must receive a hundred lashes, which would almost certainly mean her death. Ahmed’s mother was marched into the square and bound. “The penalty for my mother’s crime was one hundred lashes. She has paid two of them. I will pay the other ninety-eight.” By the end Ahmed was at death’s door, beaten, bloodied and bruised. For some weeks it was unclear if he would survive. He did survive and his people never forgot this act of loving grace.